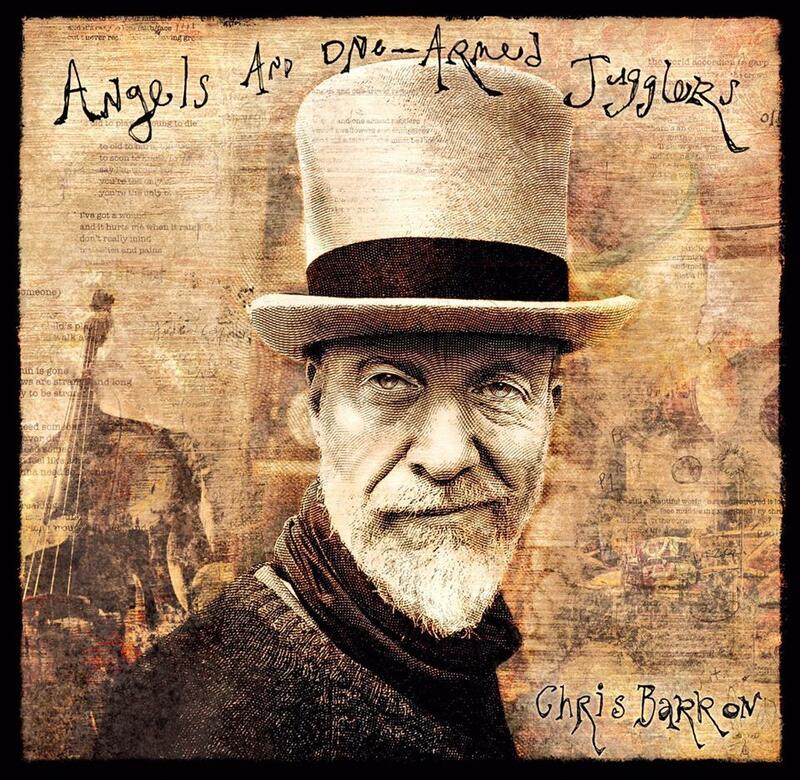 Album Review: Chris Barron, "Angels and One-Armed Jugglers"
The truth is I had to put aside long-standing biases towards Chris Barron simply by virtue of the fact that I never liked Spin Doctors. I equated them with everything I disliked in the early-to-mid ’90’s, musically speaking. But time passes and things change (God knows, I’ve turned against many of those bands/musicians I once may have championed for one reason or another) and I thought upon receiving his new solo album, “why not? You may be surprised.” And I am, pleasantly so. Let’s start with the fact that his voice is a lot warmer than I remember it; the songs all have a diversity but very refined structuring and many of the songs I found quite touching and often witty. Right there, you have all the makings of an enjoyable listen and a positive review. So here are the instant breakdowns so you know you’re heading into a good album: “Gonna (Need Someone)” is a soulful, slow, automatic “classic” sounding track, not dissimilar to the Tom Petty style; a pretty melody and a meaningful lyric; “April and May” is a bouncy, upbeat pop song that chimes in that late ’80’s “alterna-rock” manner (a phrase I once would have been loathe to use) with a catchy chorus and clever/classic middle 8 (kudos!) and “In A Cold Kind Of Way” has sweet, ringing guitars with a Beatle-esque chord progression, which gets high marks from me. “Saving Grace” has an anthemic feel and sounds like it would be a perfect lead-off single (highly radio friendly); “The World Accordion To Garp” (now THERE’S some clever wordplay) is the “oddity” of sorts, driven by accordion and tuba (!) and yet, it’s an oddly soothing and sympathetic track and “Too Young To Fade” is an introspective, powerful yet perfectly slow-tempo’d piece, which is a satisfying way to close this collection. So yes, I very much like this record – it has an emotion but doesn’t get fawning or weepy; it’s thoughtful and melodic. And some of these songs made me actually tap my foot or nod my head along while listening. And that’s when I know I’m listening to something of quality. Angels and One-Armed Jugglers is just that – quality.